See the superb VIDEO (below) with background music in full screen taking you from Kathmandu to Lukla Airport to Everest Base Camp and back. Six were on this trek. A very popular trek, the video captures the essence and spirit of Nepal people and geography of the mountain area and the sheer enthusiasm and joy of our participants. At Dingboche the group slit to go to ISLAND PEAK (Imje Tse is the Napali name) – 6 persons. This is a challenging high altitude peak climb. The last section needs crampons and ropes. See photos from this part of the trek towards the end of the photo gallery. 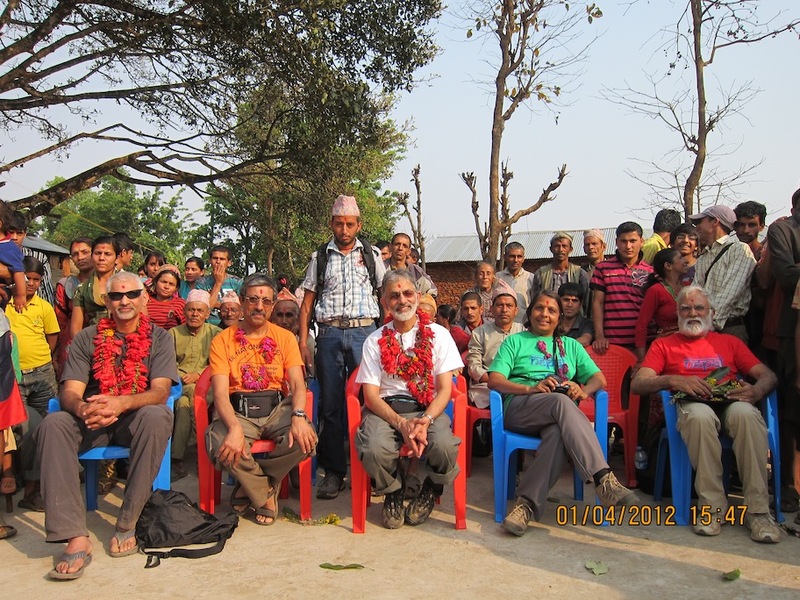 1) On 1 April – visited Bhatgav, Trishuli 70 km from Kathmandu. Journey took a long time due to the mountainous terrain. Needed a 4Wd for last 5km. Here children need to walk long distances to attend the school. Five photos can be seen in the gallery. 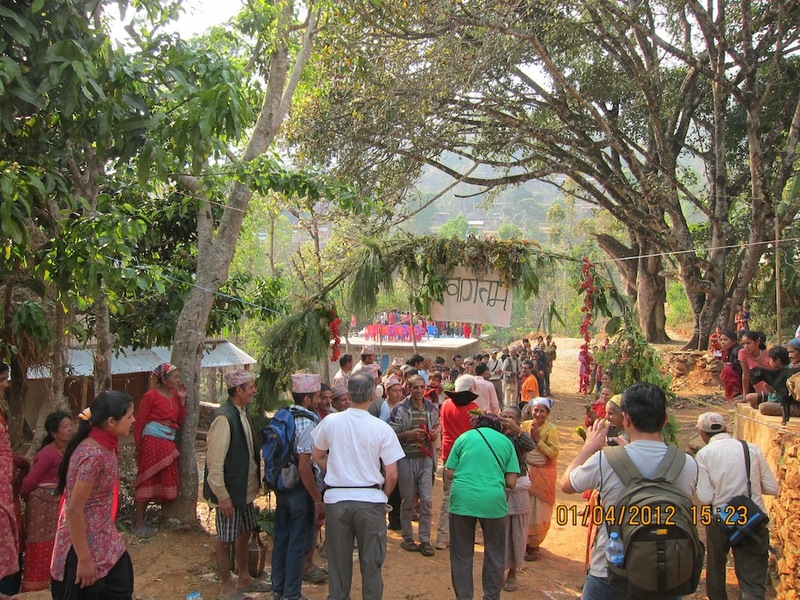 2) 13 April – school near Pokhara. There was mud slide which had to be cleared before the 4Wd would drive through. Seven photos can be seen in the gallery. 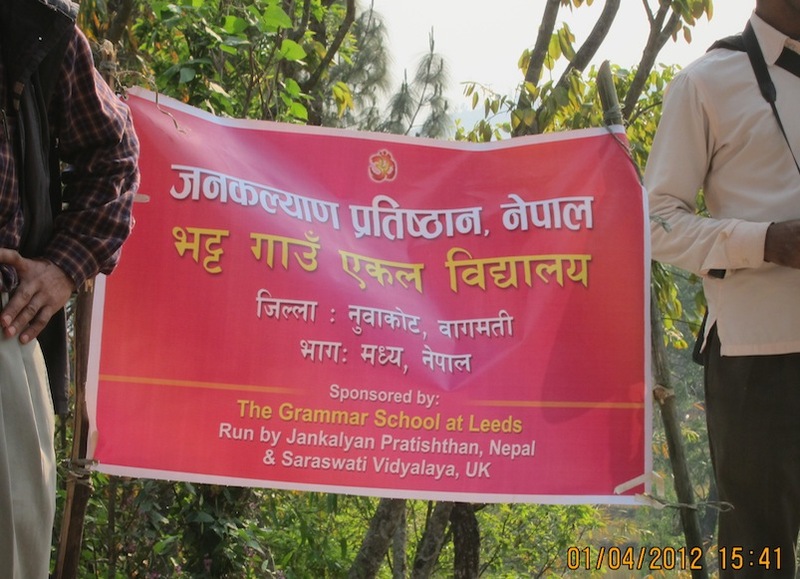 3) 17 April visited a school near Chitwan National Park. Eight photos can be seen in the gallery. We also visited CHITWAN NATIONAL PARK seeing 12 rhinos on a full day safari. No tigers. The last few days were spent in the park. Six photos can be seen in the gallery. Click here to view a video slideshow of the trip, courtesy of Seema Patel. Both treks will start and end on same dates, however the Island Peak trekkers will split from the Everest Base Camp group on the morning of day 7, rejoining on day 11 at Tengboche. Extension after the trek for Pokhara, Annapurna, Chitwan National Park, River rafting: 6 days, approx £250. 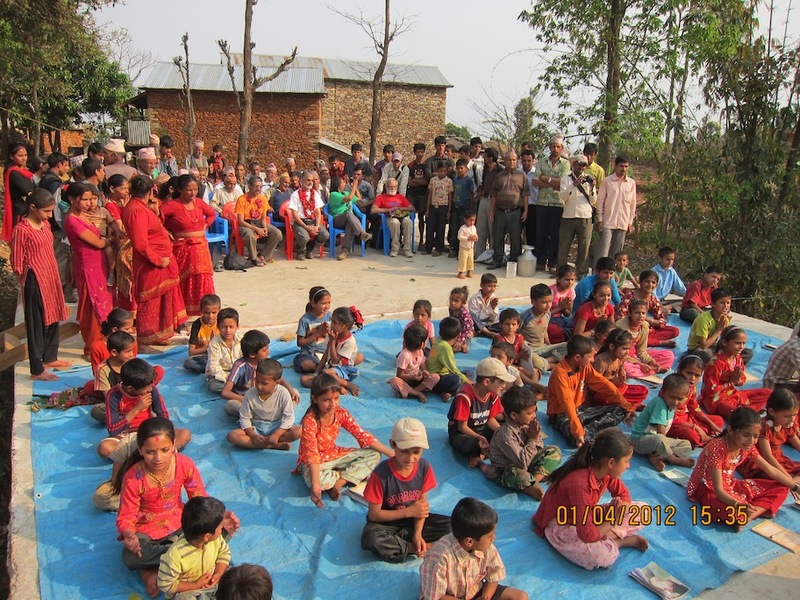 One Teacher Schools in remote locations of NEPAL. 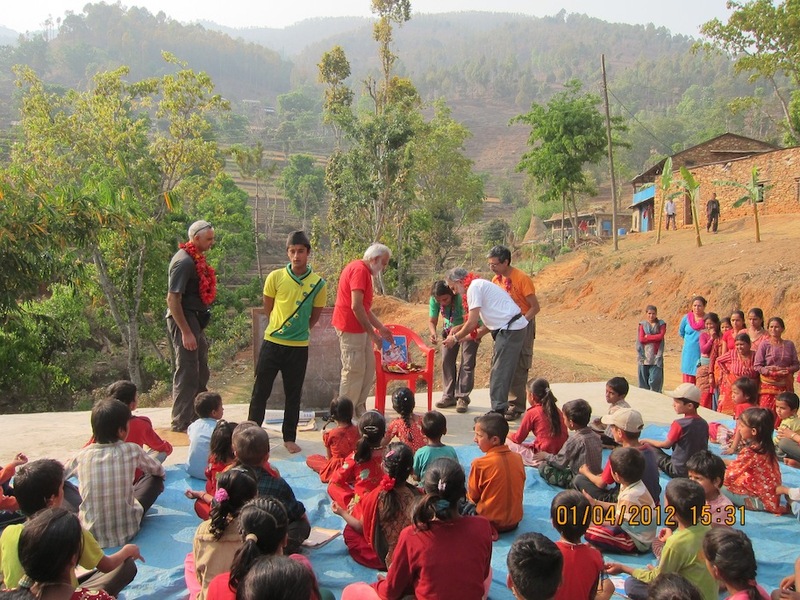 We are hoping to visit a few of these charity projects. Please continue to check back at this page for further updates! For more information, please search on Google, there is lots of info on Everest Treks.